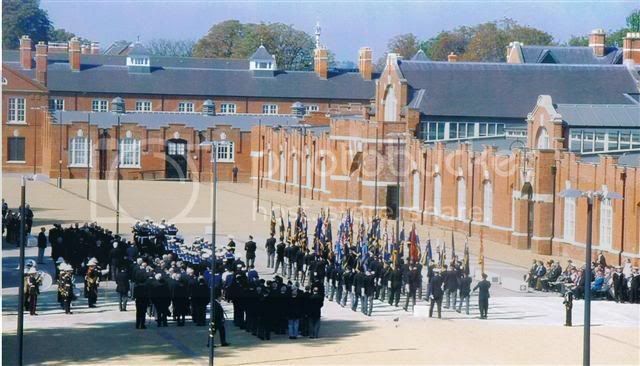 Ceremony to commemorate WWI deaths at HMS Pembroke Chatham. 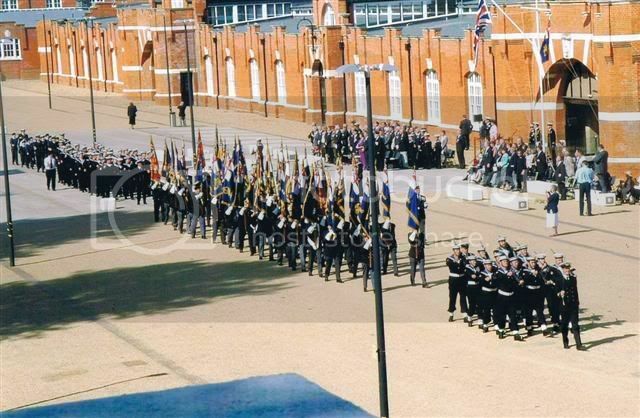 Topic: Ceremony to commemorate WWI deaths at HMS Pembroke Chatham. 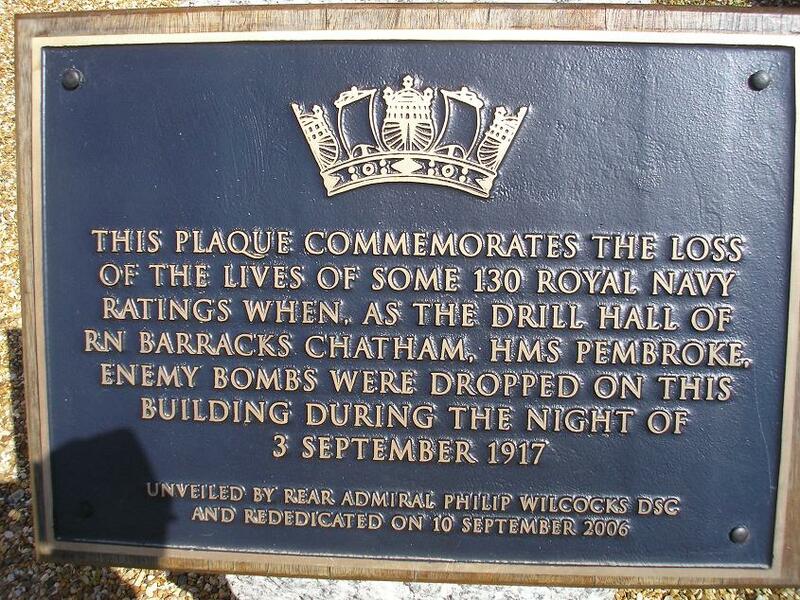 Re: Ceremony to commemorate WWI deaths at HMS Pembroke Chatham. Thought I'd post this as it looks like the other photo's have gone missing. Some photo's of the Memorial at Woodlands Cemetary. 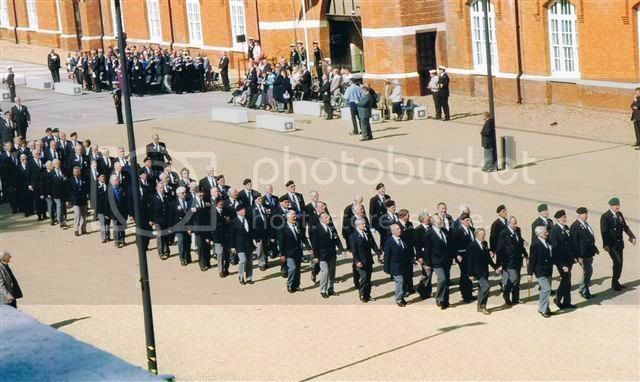 On the 10th September 2006 the universities of Kent and Greenwich and the Royal Naval Association held a ceremony to rededicate a plaque recording the tragic event that happened involving the drill hall on 3rd September, 1917. A German Gothic bomber dropped two bombs over the Naval Barracks, these fell onto the drill hall which was being used as accomodation at the time, the glass roof shattered throwing dangerous shards of glass at the troops inside, over 130 Naval ratings died this night. Taking part were the Royal Marines band from HMS Raleigh in Devonport, a Naval Honour Guard from HMS President, and veterans and standard bearers from the Royal Naval Association. The memorial consists of a bronze plaque mounted on granite plinth, this is situated outside the drill hall which has now been converted into the universities library. The conversion cost £15 million and garuntees the buildings survival for many more years. 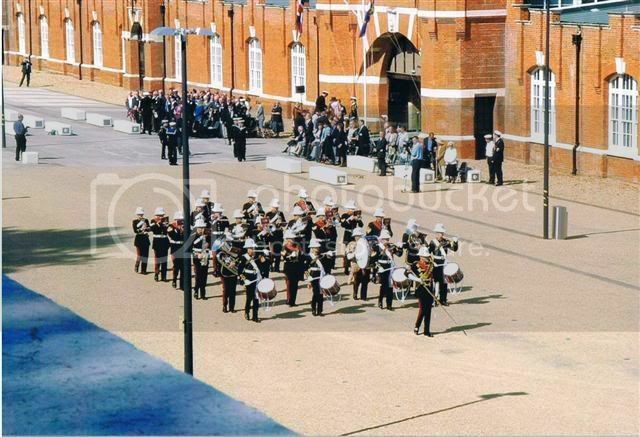 Couple of pics from the ceremony, unfortunatly none of the memorial, maybe someone has a picture of this they can add?